Claire is a hardworking dreamer and self-confessed anatomy nerd. Her 13-year career in Health and Fitness started at Cowes YMCA under the inspiring mentorship of Sue, Sandy and Judy. She grew up, moved to Melbourne and got into fitness presenting on TV, in educational DVD’s and at national conferences. 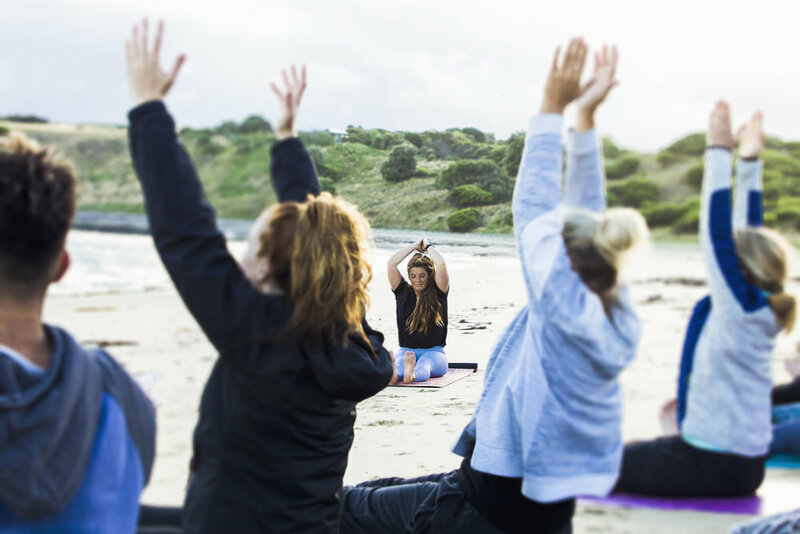 She counts her time teaching at Power Living Melbourne as a huge growth period that inspires her teaching and life and is immensely grateful to the inspiring team for their compassionate guidance and support. She is also incredibly grateful to the Melbourne Integral Yoga community for their peaceful and nurturing presence in sharing Swami Ramananda and his teachings. She has had the pleasure to study with teachers Amy Ippolitti, Duncan Peak, Rod Stryker & Tara Judelle. Claire constantly sets her goals way up in the clouds but breathes for the soil and sand beneath her feet. Her world is passionate, playful and held together with a whole lot of sweat and love.